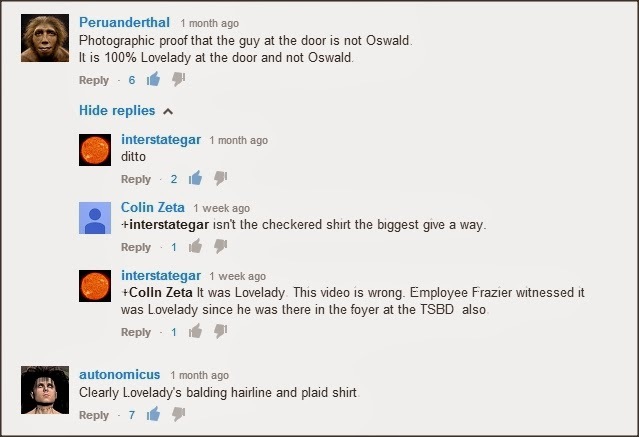 Oswald in the Doorway (not) : the blog of the Oswald Innocence Campaign,debunked by Lance Uppercut: The People continue to vote! UPDATED! Since I made that blog, people have continued to vote. Are ANY of them convinced by Ralph's presentation? My god this man is dense. Ralph never misses a chance to display his total ignorance of how anything works. Now this could quickly become hilarious, so nobody spoil it by telling him where his dumb comments are! 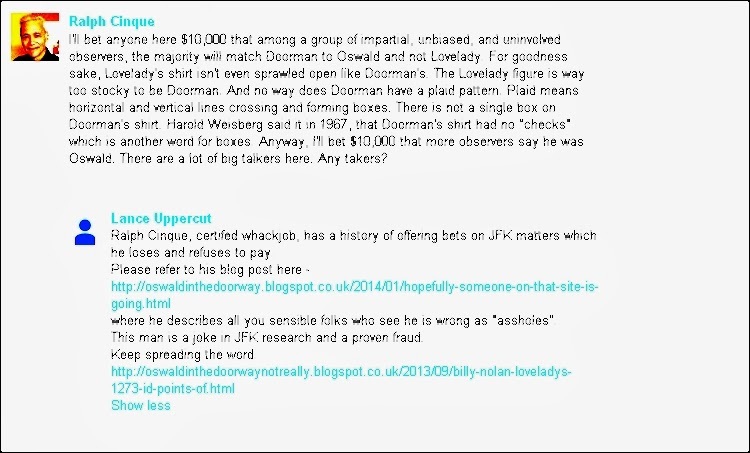 And before you even think of editing out where you called them all assholes on your blog, forget it. I already got the screenshot. Aaaaah……. nice to get an honest sampling for a change. Ralph should change statisticians. Charnin, you're FIRED !!!!!!!!!!! Charnin would probably turn his screen upside down to make the down votes up votes. 100 % approval that Ralph is Right. I'm sorry…….. I told him before I read this. Wanted to be sure he knows that I'll take him up on his bet (insert pinkie on corner of mouth here). 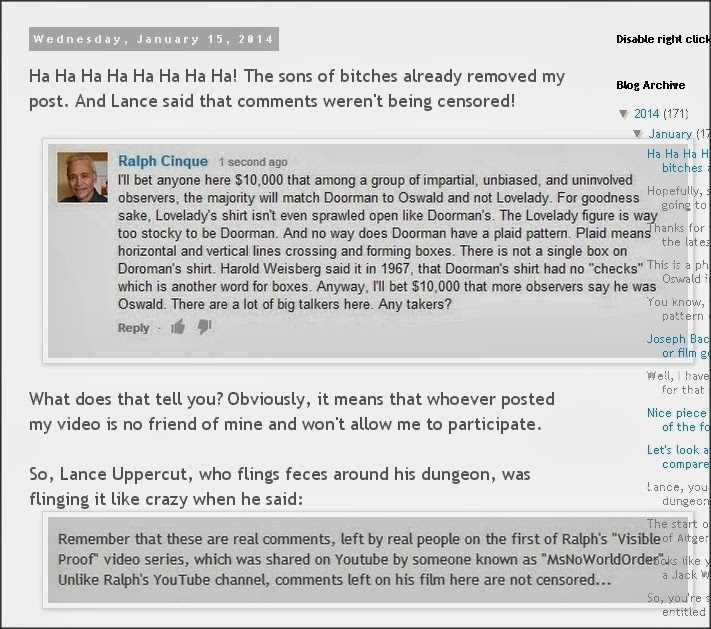 Dang, all those comments gone from Ralph's place…. was it something I said? My, I hope we didn't upset the little fella too much. 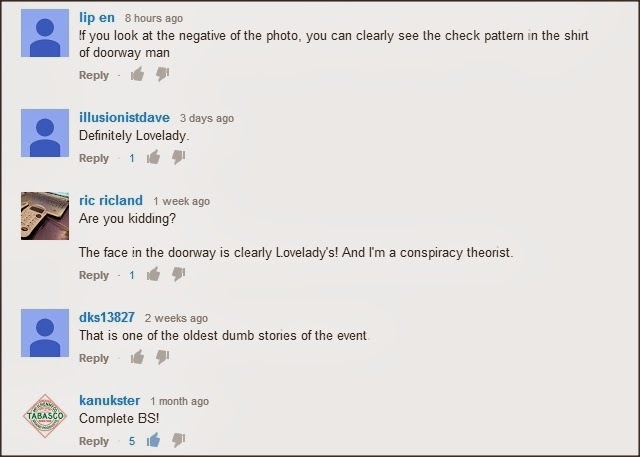 His postings are really getting gargoyle-like, or, uh, something very very strange. Oh, Lance……. you're doing it to Ralph yet again !!!! A ton o' thrills without the pills!!!! Hey, the Cinquester's makin' you famous, L !!! 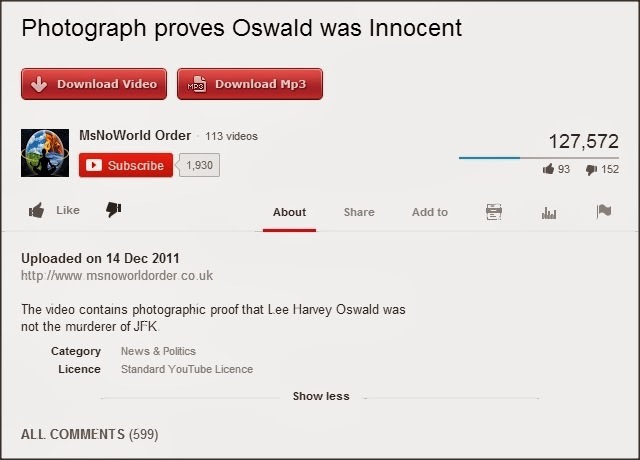 You've got a personal post by the King of JFK researchers hisself !!!! LOL !!!!!! Well I haven't posted for two months so I'm not sure what provoked the latest rant! Still, it seems to have brought a flood of views...I must write and thank him later!